 TORONTO, May 9, 2017 – Northbridge Financial Corporation is expanding its product line to include surety bonds. Starting June 1, 2017, businesses across Canada will have access to an extensive selection of contract and commercial bonding solutions. Northbridge will enter the surety market by acquiring the surety underwriting business of Fenchurch General Insurance Company, which has a proven track record of profitability. The acquisition includes United Surety Limited – which will be re-branded as Northbridge Surety Limited – and Capital Administration Services Inc., a provider of funds control services. The transaction is scheduled to be completed on May 31, 2017. “We’re pleased to welcome this specialized team of surety experts, led by Iqbal Bhinder, who brings a decade of experience in the surety business to our operations,” says Silvy Wright.